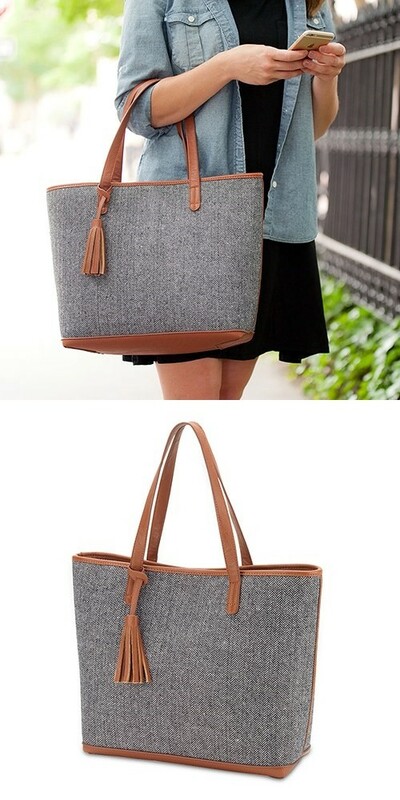 The textured grey knit fabric on this classic yet modern shoulder tote provides a high end look and feel while the interior leaves ample space for all your treasured belongings. This fashionable purse features vegan leather acents (including an adorable tassle) and a magnetic snap closure to ensure all your essentials stay put. Non-personalized.